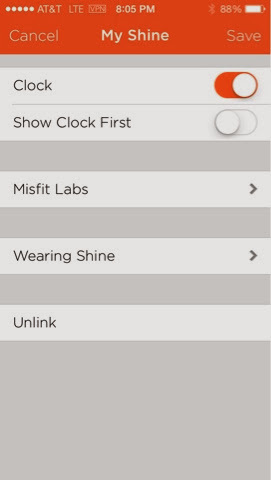 ForTechiesOnly: Misfit shine app v 1.4 adds "clock first"
Misfit shine app v 1.4 adds "clock first"
As you know I like fitness wearables. Having tried jawbone up , fitbit , and finally settling on the sleek and stylish misfit shine wearable as the perfect one for me . It was really exciting to see my fortechiesonly product review and unboxing of the shine actually get featured on misfitwrarables.com . Now I am even more excited to find out that my iPhone app had recently automatically updated to version 1.40 (iOS 7 auto updated the app which was cool btw) . The reason why the new version of the app is awesome is because they implemented the #1 feature I requested in my original review : an option to have the shine display the clock first and then the steps progress indicator . 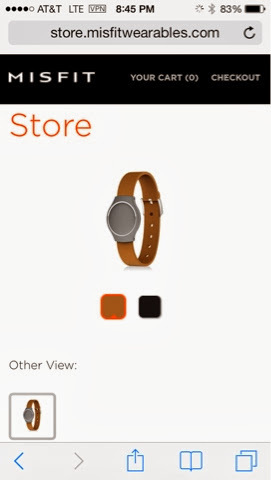 Before this feature , shine had the promise of replacing a watch on your wrist . Definitely sleek enough and minimalist enough on the hardware side . However it's flow of showing a user the steps progress indicator , in an animation of dots lighting up in a smooth sequence , AND ONLY then animating the clock in made it practically unusable as a watch . It would previously take 5-6 seconds to read the time from a shine , very slow and disruptive . Now with the new "show clock first " option , that you can enable in the "my shine" section of the app , it takes 2 seconds to get the time :) now the shine finally meets it's promise of being usable as a watch . My wrist is not cluttered by a what now seems like a giant watch and a bulky jawbone up bracelet . It's liberating . The only thing really missing is a leather watch wristband . 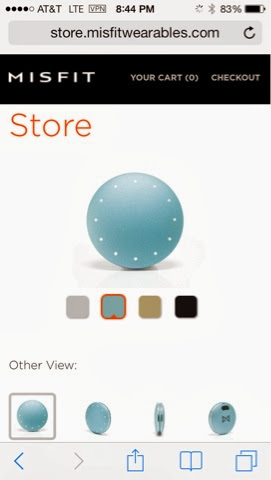 It seems like misfit had a little bit of a delay in making those available . But I am hearing that they are finally becoming available ? Would love to unbox one and see if it makes shine into the perfect watch and fitness tracker . One more thing , as you can see by the screenshot at the top , shines are now available in 3 more colors : champagne , topaz , chorcoal , and original silver .